Melanie Kawiecki is responsible for the finance and tax compliance functions of Yankee Alliance, Inc. and its affiliates. Prior to joining Yankee Alliance in 2009, Melanie spent ten years with a successful career in public accounting at McGladrey and Pullen, LLP providing financial management and tax support to both not-for profit and for profit organizations. Melanie also served as an audit Supervisor at Ernst and Young, LLP one of the top four global public accounting firms. She began her accounting career serving as senior auditor for two years at Shatswell, Macleod and Company, P.C. specializing in audits of financial institutions. 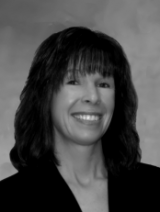 Melanie is a Certified Public Accountant licensed in the state of Massachusetts, since 1999. She graduated with honors from Salem State College with a Bachelor of Science in Business Administration with a Major in Accounting and a Minor in Economics. Melanie is an active member of the Massachusetts Society of Certified Public Accountants.